The alliance of the supreme nations has come under attack from a nuclear armed rogue country. A war has been declared and the elite air force has been called into action to counter the attack the enemy jets fighters. As a pilot, you need to lead a critical mission and carry out the air strikes against the enemy forces, and eliminate the entire squadron of enemy planes in the sky. 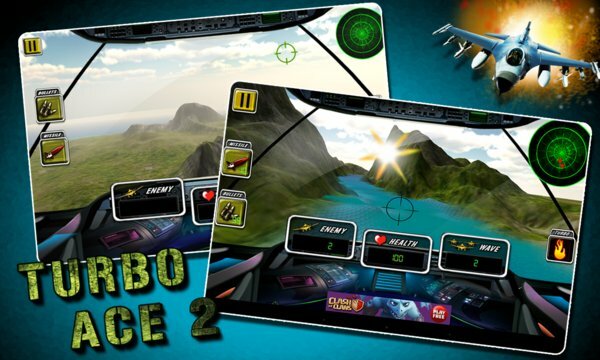 Turbo Ace 2 is a 3D Jet Fighter Simulation Game, where you will be flying a supersonic jet fighter plane at lightening speeds with state of the art controls, navigational guides and enemy detection radars. The HUD will provide complete details about incoming enemy waves, their relative position, available ammunition and missiles. The game provides a very realistic jet fighter simulator experience with real world war settings. 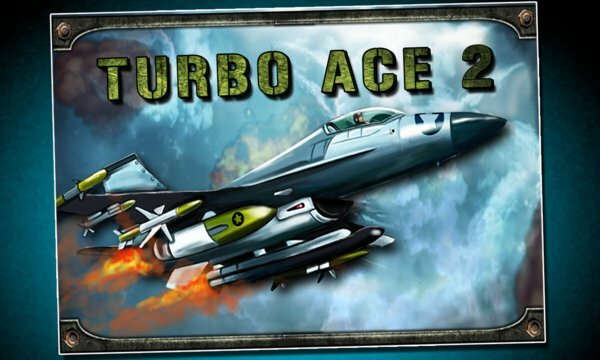 The objective of the game is to destroy all enemy war planes and counter all attack waves. You must avoid being in the line of the enemy gunships.